It’s awesome having a shiny new iPhone until the battery dies. Then it’s not so awesome. 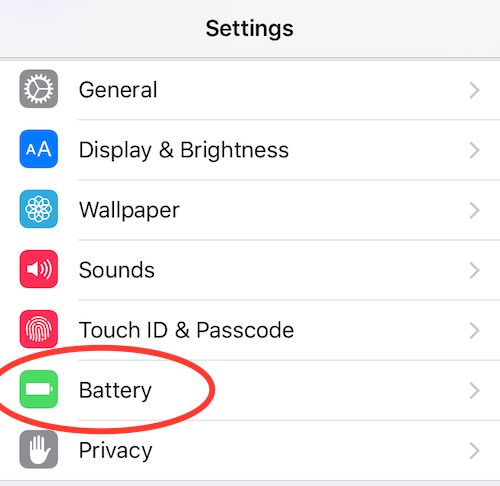 With the latest update to the iPhone software (iOS 9) came a new Setting called Battery. If there’s one that’s really hogging your battery, just keep note of it and make sure to always close out of it when you’re done using it. There is also a “Low Power Mode” which, when turned on, will disable things like apps refreshing in the background, email being checked automatically, etc. until you’re able to charge back up. There is word that the new update gives you an extra hour of battery life, but at the same time being able to see which apps are taking all your power is a good thing.